L4315, Korea Dokdo M/S Stamp, Dokdo Islands Map (Takeshima) 2004, Imperforation. MNH. 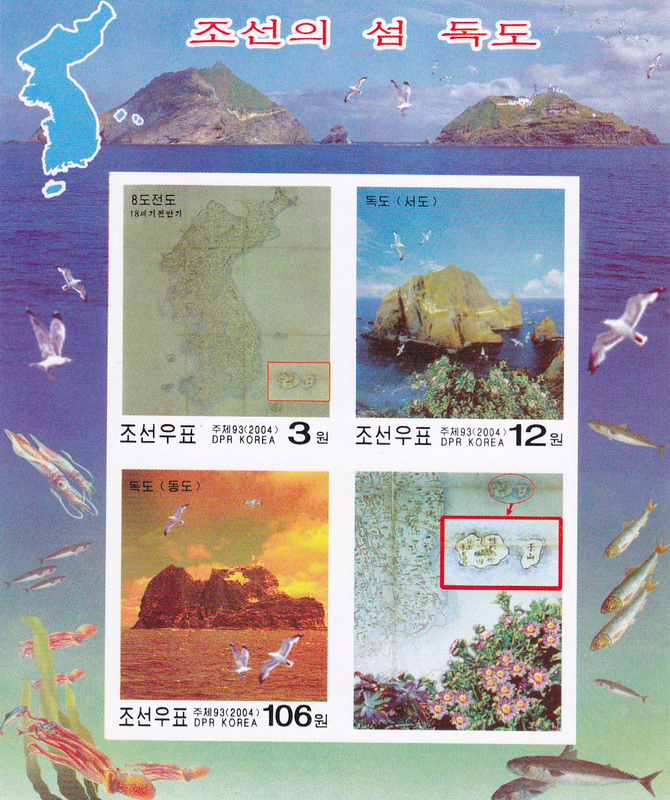 Issued by Korea in 2004, with the maps Dokdo Islands (Takeshima). The Liancourt Rocks, also known as Dokdo or Tokto in Korean, and Takeshima in Japanese,are a group of small islets in the Sea of Japan (East Sea). Sovereignty over the islets is disputed between Japan and South Korea. South Korea classifies the islets as Dokdo-ri, Ulleung-eup, Ulleung County, North Gyeongsang Province. Japan classifies them as part of Okinoshima, Oki District, Shimane Prefecture.